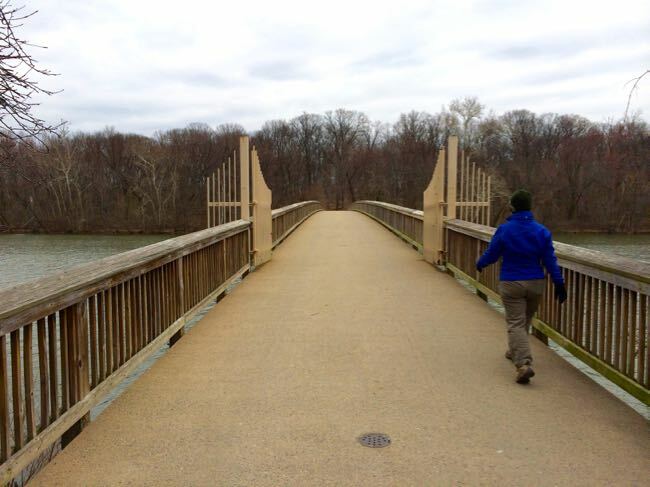 A Theodore Roosevelt Island hike offers an unexpected slice of nature at the edge of DC, with a network of dirt paths, a long boardwalk, an interesting tidal marsh and some hidden surprises. 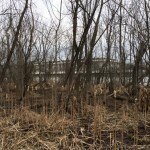 Early Spring is a fun time to visit the island because, with no leaves on the trees, you can spy the Kennedy Center, Watergate Hotel, and Washington Harbor Complex through the trees. In mid-to-late Spring, wildflowers cover much of the ground, and in summer and fall, the trees provide nice color and shade. 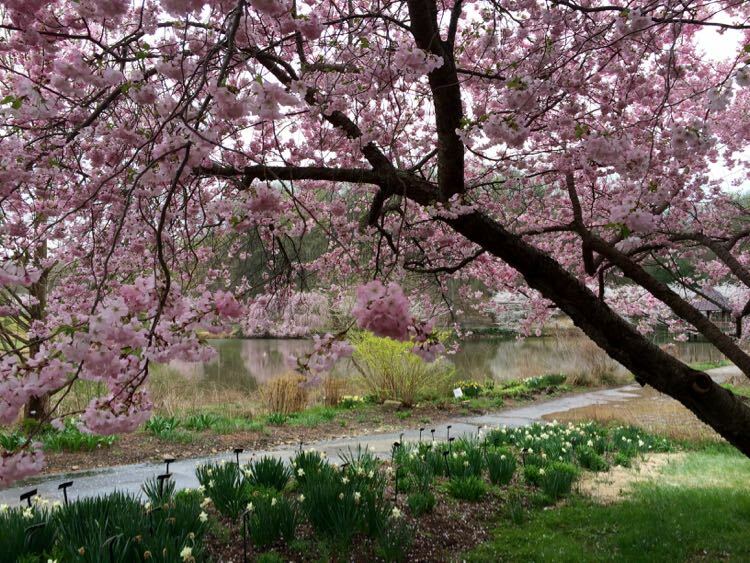 In the 1790’s, the island was the home of George Mason’s son John, who built a brick mansion and cultivated gardens. 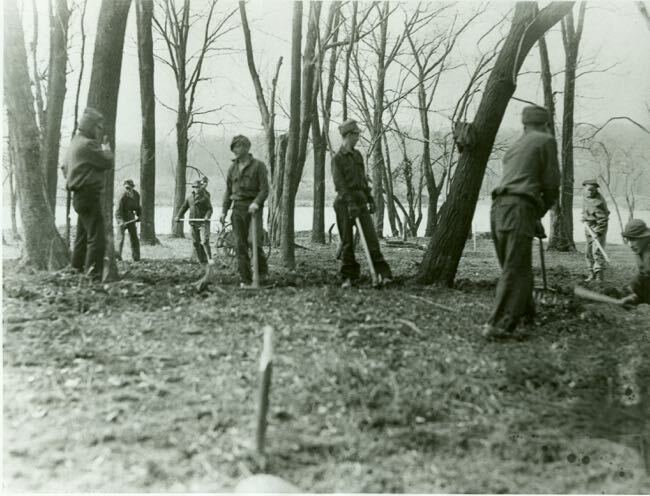 During the Civil War, the Union army trained African American soldiers at Camp Greene, which was located on the island. 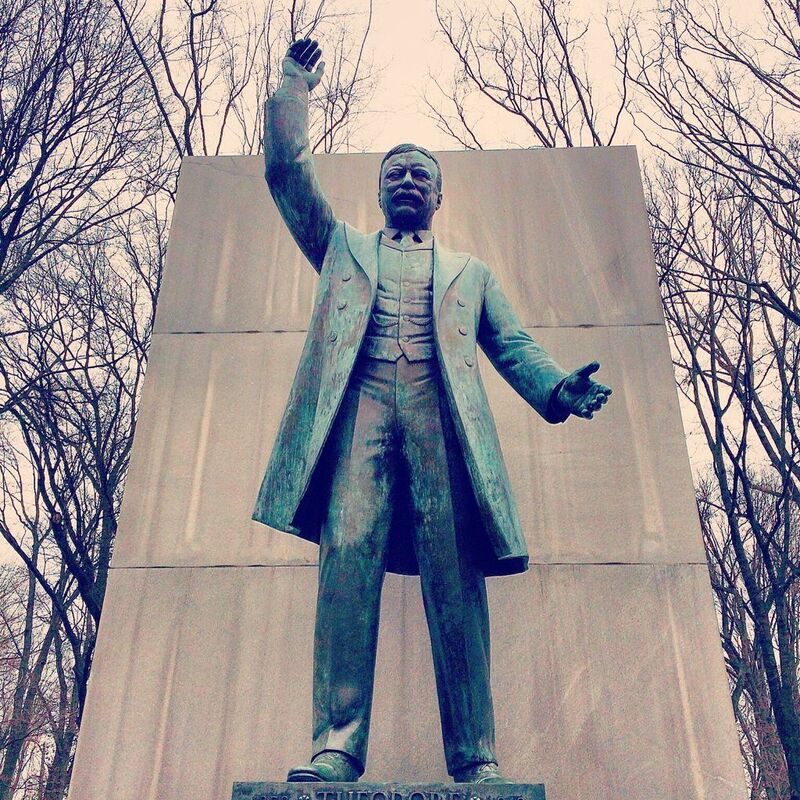 In 1932, the island was gifted to the US Government to honor conservationist President Theodore Roosevelt. 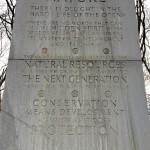 The park we visit today was designed by Frederick Law Olmstead and created by the Civilian Conservation Corps as a natural sanctuary for public recreation. 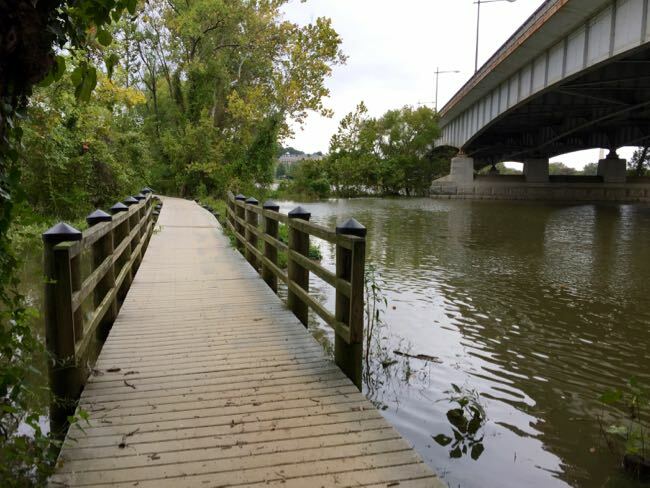 When the Potomac is at flood stage the island can become impassable, but otherwise this is an easy hike over mostly level dirt and stone dust paths and a long boardwalk. 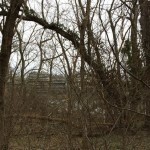 Park at the lot along the river, which you access heading north on the George Washington Parkway, near the Memorial Bridge. If you’re approaching from the north or west you’ll need to go further south on the Parkway to reverse direction at the Arlington Cemetery rotary. Map. There are a good number of parking spaces in the lot, but they do fill up on the weekend or after work on warm days. 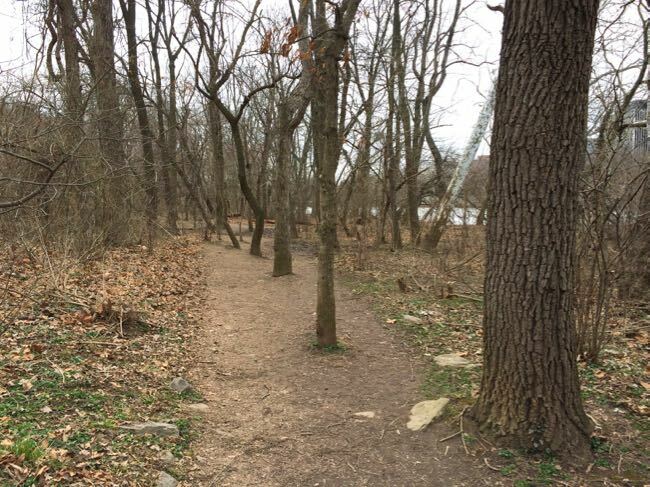 This is also the northern access point of the paved Mount Vernon Trail, so the lot is popular with bikers and joggers. 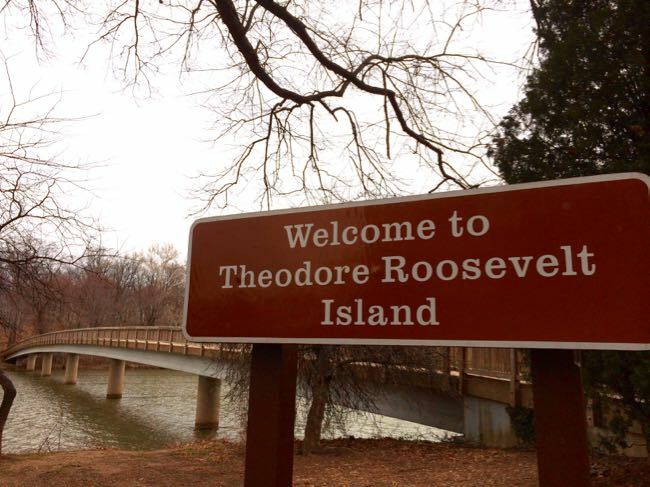 Once you walk onto the footbridge to Teddy Roosevelt Island, you are officially in the District, since Virginia’s boundary ends at the river’s edge. 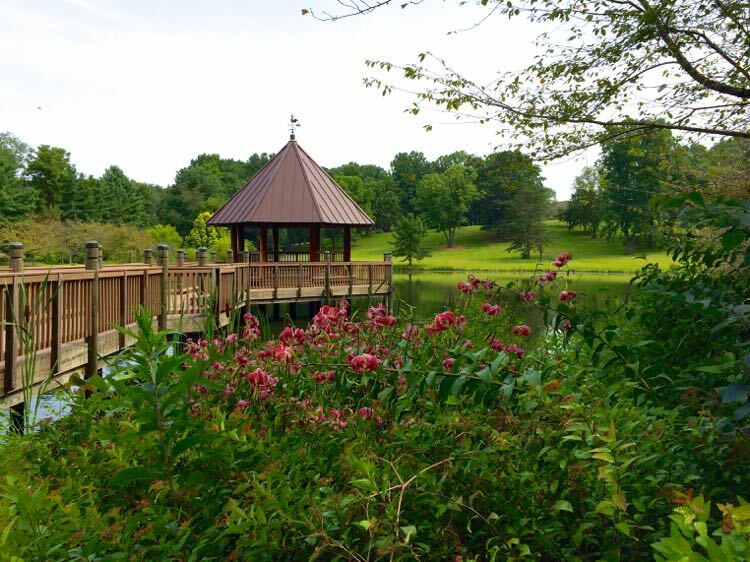 After you cross the bridge, you’ll find a sign with a map of the park and some information about the nature you might encounter during your visit. Now you have a choice to make. 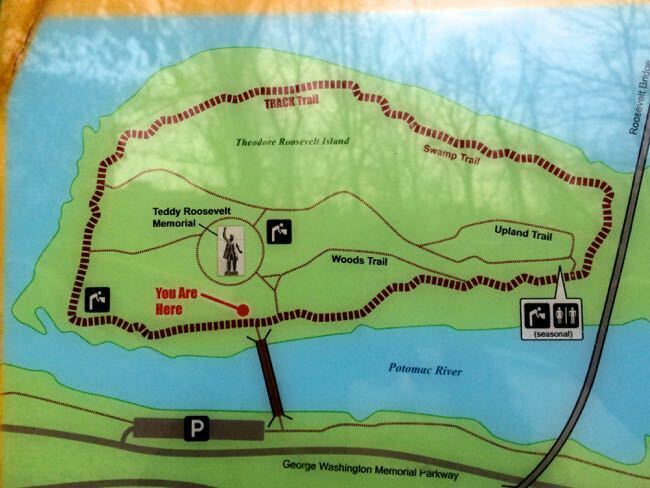 You can head uphill to the Theodore Roosevelt Memorial, or you can skirt the island first and finish your trip at the top. If you’re making a first visit with children or out-of-towners, it can be fun to walk around the island first, then finish with a surprise at the top. 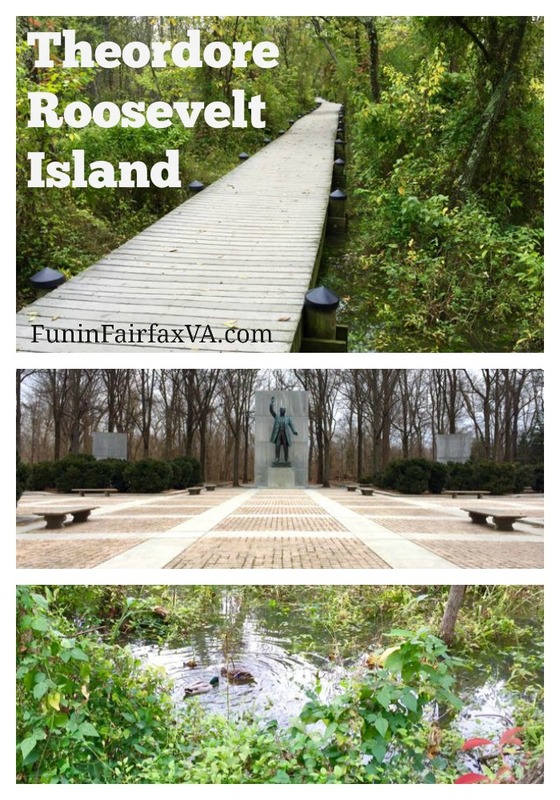 Since the island is small and all of the trails are relatively short, we suggest you circle the island on the Swamp Trail, then head up to the Memorial Plaza, and finally walk the Uplands and Woods Trails if time allows. Go right at the sign, following the trail closest to the water. 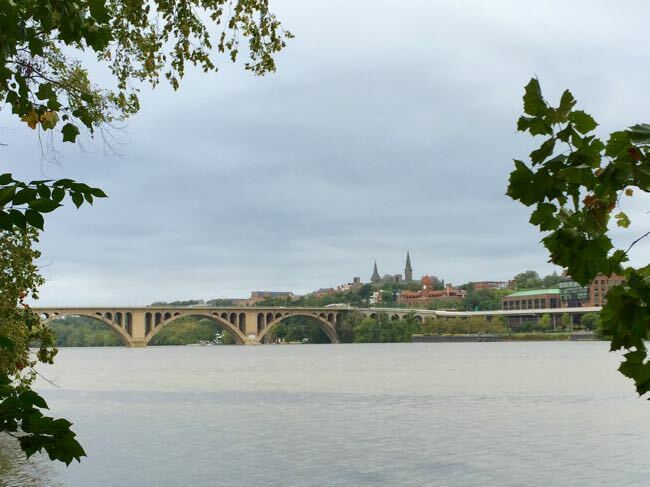 You’ll have views back toward Virginia, until you round the corner near the bathrooms and encounter a cool view of the Theodore Roosevelt Bridge to DC. 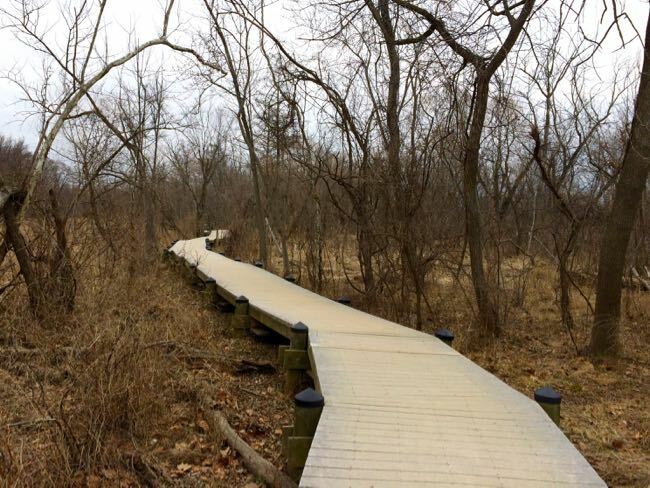 You’ll almost pass under the Roosevelt Bridge before the trail loops to the left and becomes a boardwalk. 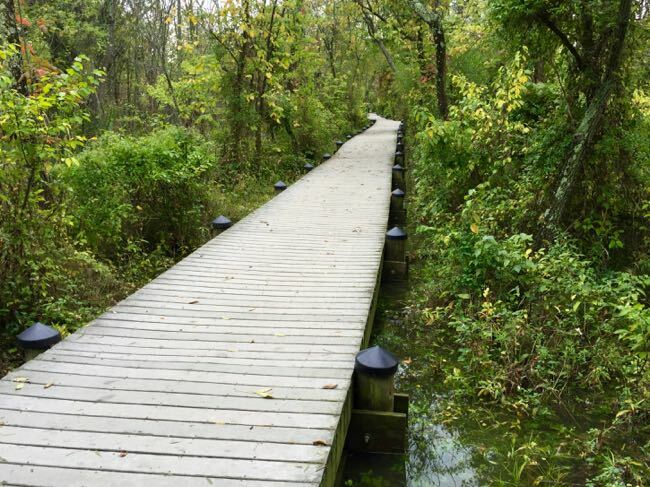 This is the start of the Swamp Trail, which takes visitors on a surprisingly long boardwalk over the tidal marsh. 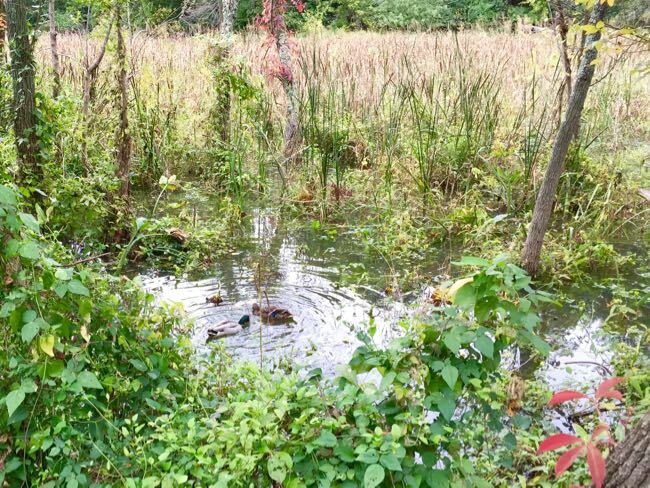 There are several spots to stop and watch for birds and other tidal visitors along the way. 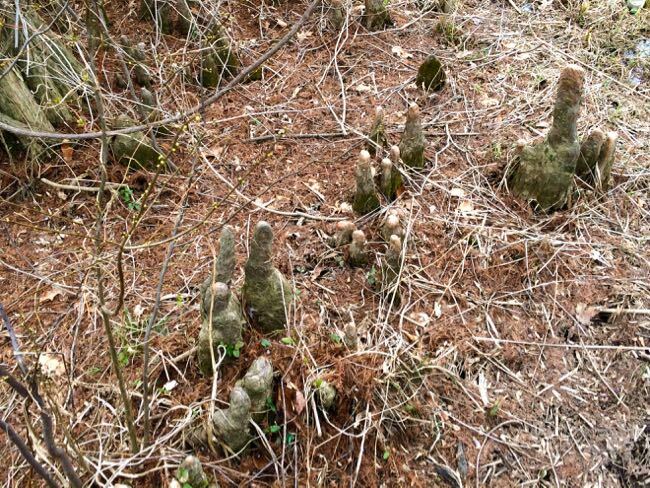 Notice the cool-looking cypress knees near the second platform, and watch for heron, woodpeckers, ducks, and other native birds. 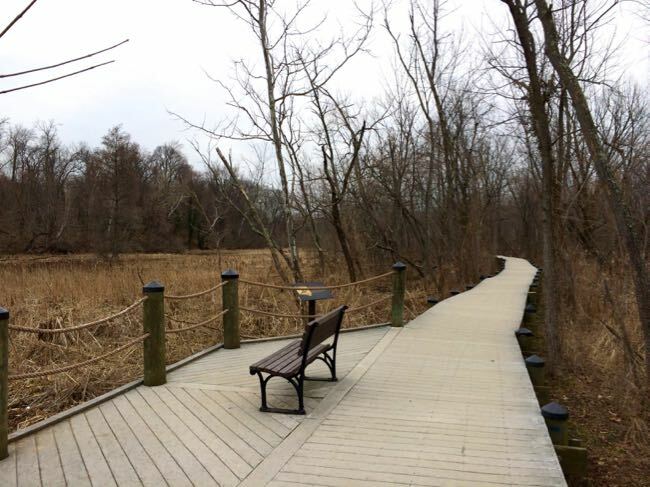 Teddy Roosevelt was fascinated by birds, and the boardwalk is a popular stretch for birders enjoying one of his favorite pastimes. Nearly 200 species of birds visit the island each year; you can download a checklist from the park website to take on your visit. We brought our twins here when they were about 5 and had a picnic on one of the benches. The kids loved walking back and forth on the boardwalk, but there are no guardrails so you’ll have to hold on to young toddlers. 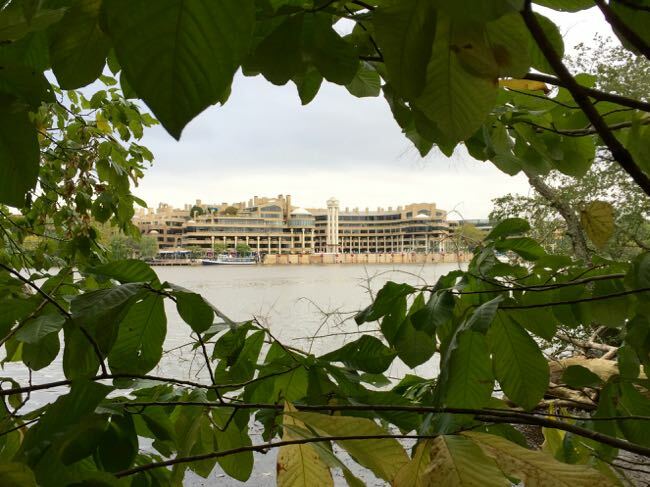 As you walk along the boardwalk, look between the trees and across the Potomac for views of the Kennedy Center and the Watergate Hotel. 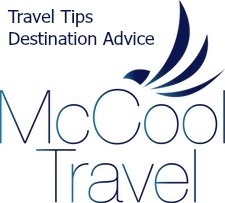 You may see frequent planes overhead, since flights north from National Airport are required to fly over the Potomac to avoid prohibited airspace that protects the White House, National Mall and Vice President’s Residence. 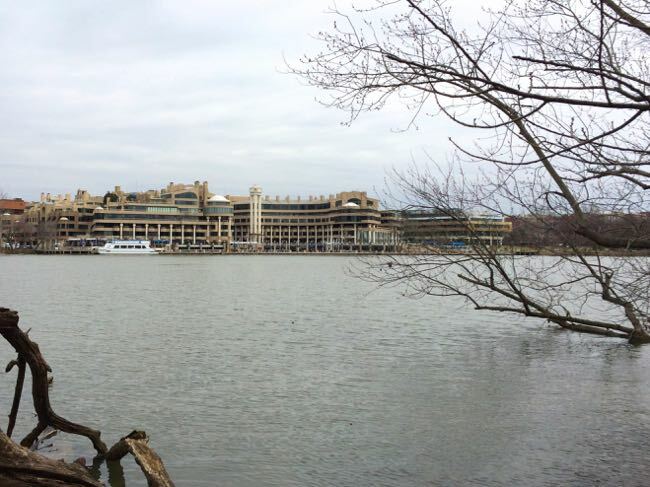 At the end of the walkway, make your way to the river for a clear view of the Washington Harbor Complex. 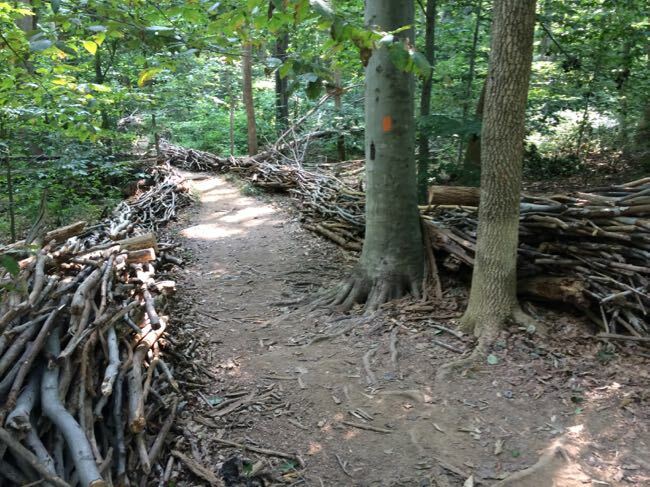 The complex is protected by 12 to 17-foot flood gates—the first of their kind in the world when built—that can be raised to protect the property when heavy rains or snowmelt bring the Potomac to flood stage. 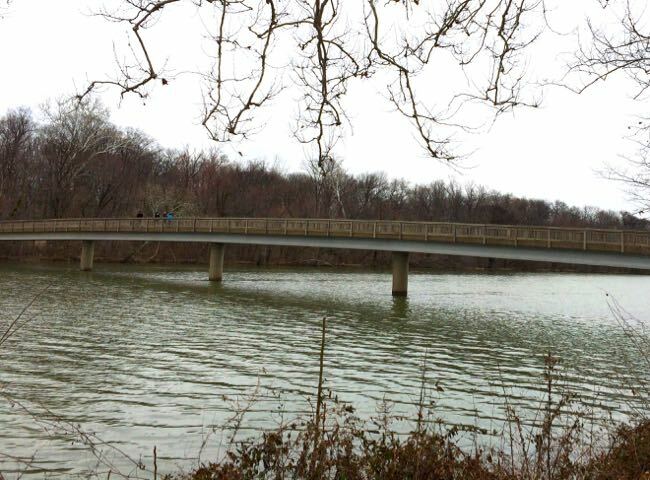 The flood gates did their job when the Potomac crested 13.8 feet above normal in 1996, but were not raised after torrential rains in 2011, leading to massive flooding and damage. 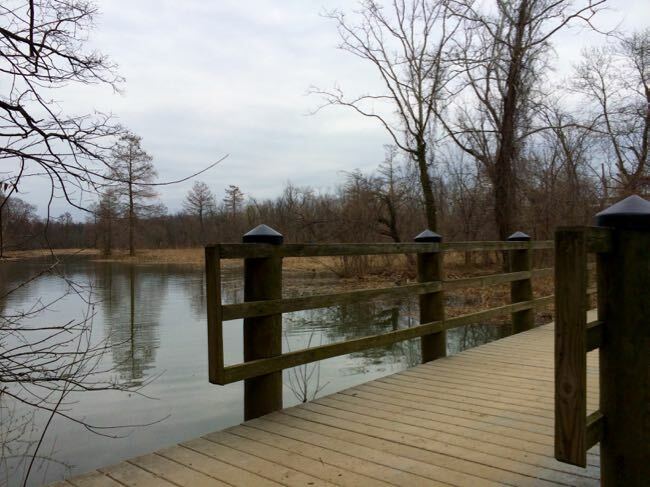 The gates are raised in the next picture, taken when the Potomac was high due to Hurricane Joaquin. 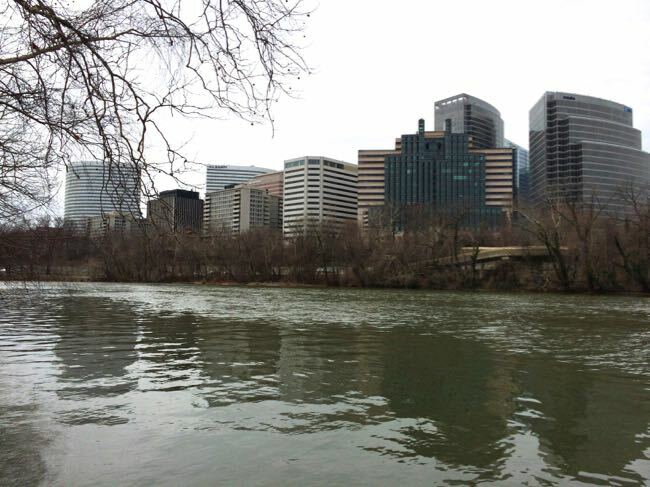 You can also view Georgetown and the Key Bridge from the north end of the island. 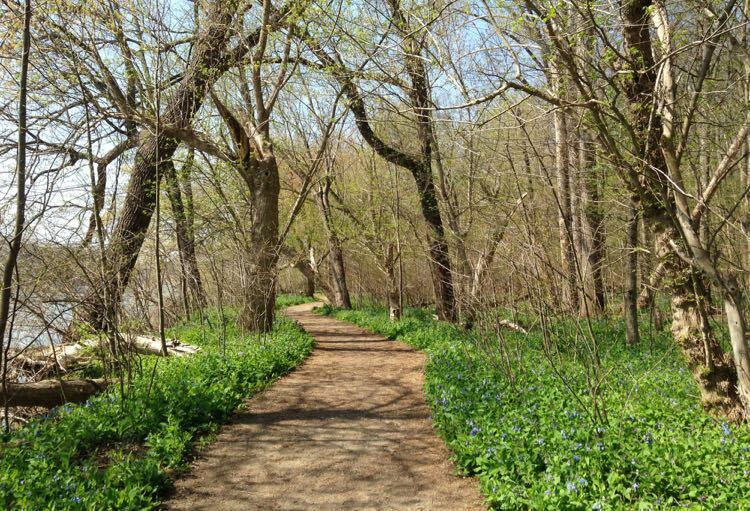 Once you round the northern end of the island, there are clear views to Arlington as the path continues close to the water. 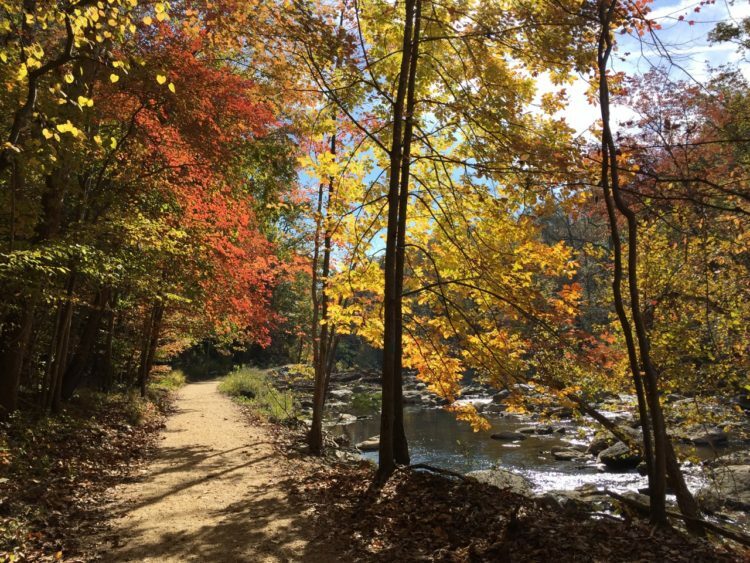 If there have been recent rains, the path is likely to be muddy. If the mud is too heavy, double back to the turn uphill to the Memorial. 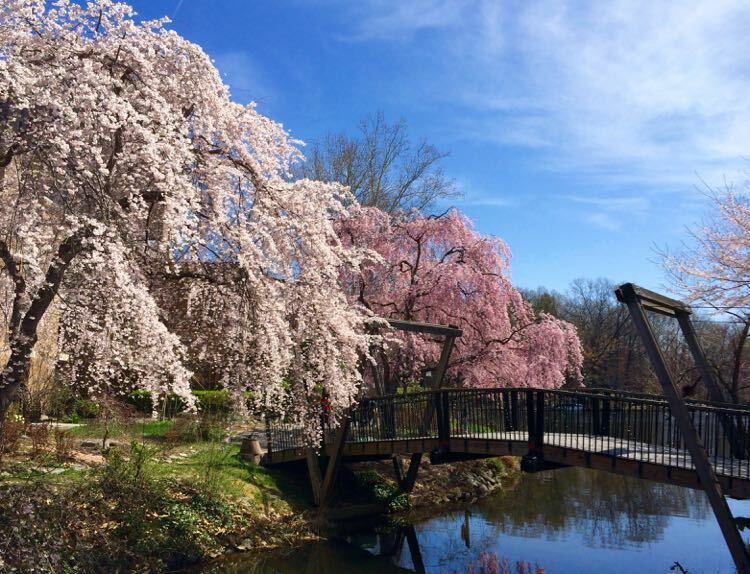 When you are back to the footbridge, it’s time to walk uphill to the Memorial. 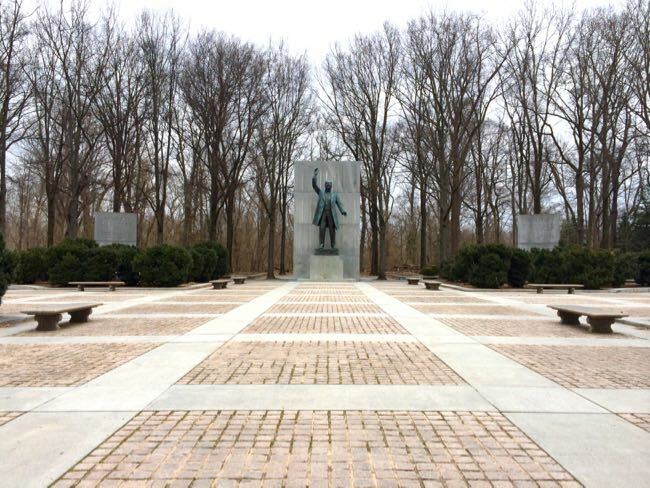 If you haven’t told your kids or visitors what to expect, the first views of the statue of Theodore Roosevelt overlooking the large plaza are pretty dramatic. Unfortunately, leaks have forced the park system to drain the fountains and moats, but it’s still a cool space. 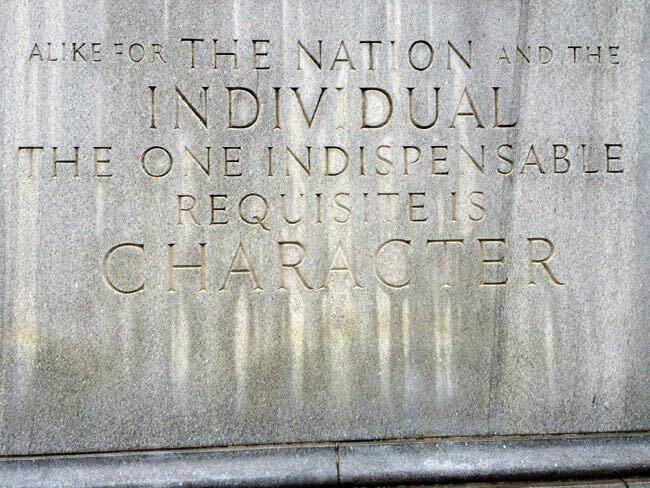 Behind the statue are large, granite tablets with quotes from Roosevelt on favorite topics like Manhood, Youth and Nature. 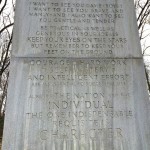 The quotes may sound a little odd to modern ears, but they express the love of the outdoors and conservation for which Roosevelt is known. The plaza is another good spot for a picnic, and most kids love running around the urns and over the moat bridges. 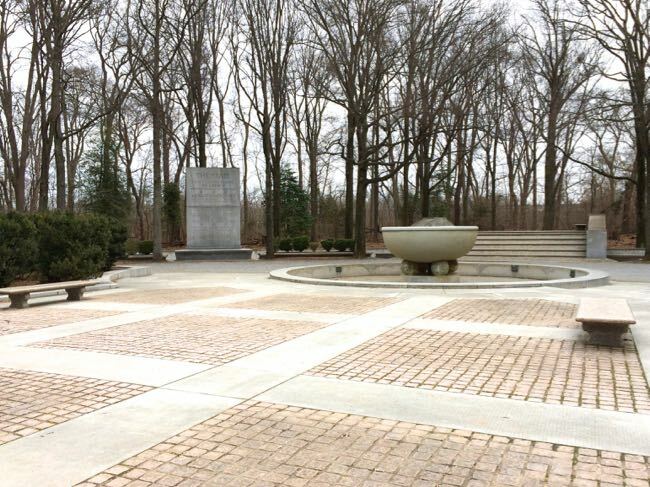 From the Memorial you can return directly to the footbridge, or walk the Woods or Upland Trail before heading for home. A Theordore Roosevelt Island hike explores one of those wonderful, unexpected, urban parks—so close to DC but with a unique, natural ecosystem to enjoy. 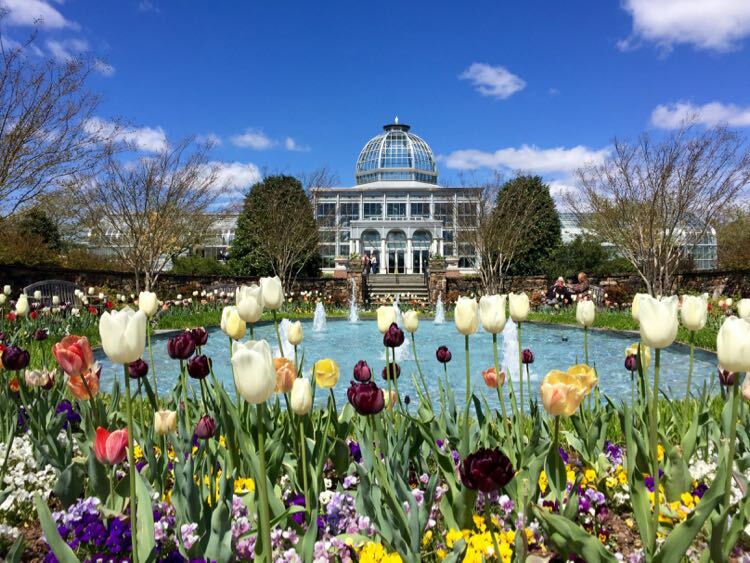 If you live in Northern Virginia and you’ve never visited, you really should. 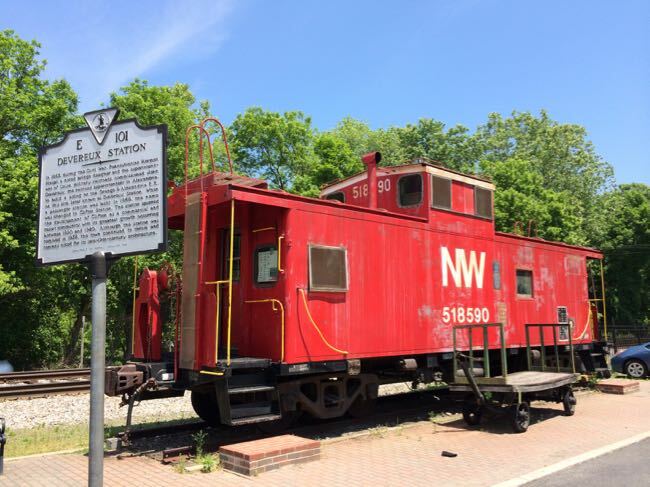 No need to wait until your next out-of-towner arrives. 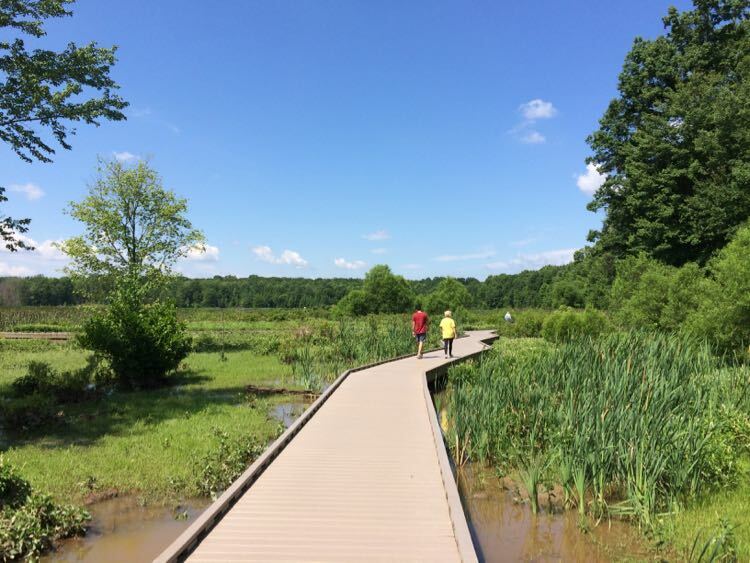 Want to find more cool places to explore in Northern Virginia and surrounding areas? Follow us on Facebook, Twitter, Pinterest, or Instagram. Thanks and happy exploring!